I have a tendency to rush right to an answer when I’m time pressured. Too often I feel a need to know because I’ve hinged my self-worth on getting it right. In the interests of efficiency, I’m tempted by the listicle with five simple steps. Sometimes I’m still looking for the Cliff notes on life. Usually, I find an answer when I charge toward one. Sometimes that’s perfect. But there’s a lot to be said for bypassing the short cut and taking the longer way around. Lately, I’ve been thinking less about the answers and focusing more on the questions. Asking myself, what matters the most here — what is already known? Or what is still undiscovered? We are born naturally inquisitive. Scientists cultivate curiosity. So do artists. The art of inquiry shapes not just how science advances, what an artist paints or the way a child learns, it also shapes our lives. In ways, the questions we ask are more important than the answers because our questions determine what we find. Without a curious mind we can’t question our assumptions, examine our biases, consider changing our routines. How often have I been just plain wrong? Let me count the lifetime of ways! And, most of those times, I thought I was right. I can see myself as a child, moving slowly, in my own sense of time, stooping over unselfconsciously to touch a bug in the dirt and interacting with it spontaneously. There is a natural, gracious connection to my world in that memory. At some point, like most of us, I started wanting to demonstrate my knowledge and experience. I needed to sound reliable and rational rather than appear naive or innocent. I wanted to prove I was right, to shore up my world view, to stop the pain. In that process, I’ve nearly sacrificed the part of me that is still innocent, still willing to be unknowing. Losing that part would be losing a fount of joy and vitality and exuberance that I absolutely want to keep all my life. Yet, walking off the familiar trail, exploring the depths, can be uncomfortable. This week during a meditation, my shoulder and neck lit up in a sudden firestorm of pain. I wanted to get up and walk away, get something to eat, weed the garden, anything to shake it off. Instead, I stayed put. I was pretty sure that pain was there to tell me something. I wanted to figure out what. Instantly. I wanted to ‘get it’, deal with it, be done with it and move on. Instead, with the help of a guide, I imagined sitting at a garden gate, alert but relaxed, inquiring about the pain and simply listening, trusting the garden gate to open to my presence at some point. My guide had suggested the ideal image. 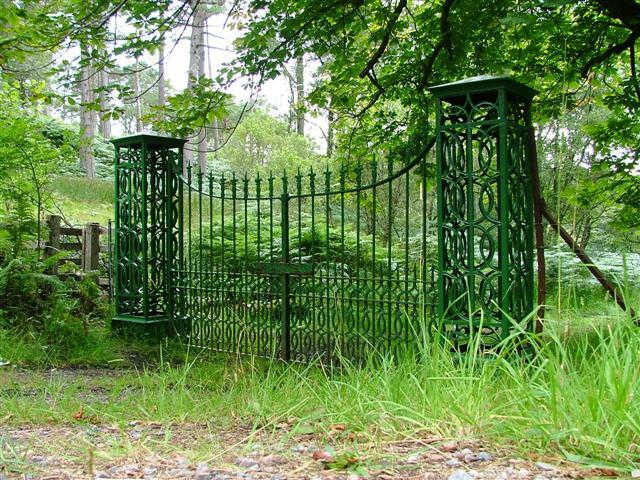 I pictured a wrought iron gate through which a lush, fertile garden spilled out toward where I sat in the shade. Examining the pain, trying to define it, name it, it began to take metaphorical shape—a blade, a guillotine. Gradually the meaning of this clarified into an understanding of how connected I am to my rational mind and how often I cleave away the instinctual, intuitive parts of me. A gift of insight came from the inquiry into that pain. Curiosity requires time and attention. The willingness to stoop down for a closer look. To get our hands dirty. To hurt sometimes. But, at its heart, I think this curiosity is how we create the palette of our own unique selves and our lives. Curiosity creates the opportunity to discover our interests, our passions, our wisdom about what has meaning for us. What do we wonder about? Banishing our innocence in the name of safety and good sense, we find that our capacity for vitality and enthusiasm is lost. … There is a destiny beckoning to be lived, and no one else can live in it our stead. Start here—what are you curious about? Not just something that has an answer Siri can provide for you, but something persistent and engaging. Let yourself explore. How does it feel to be curious? What happens when you tend to your questions and cultivate your own curious mind? This entry was posted in Curiosity, Leaning In, Mindfulness and tagged Albert Einstein, curiosity, David Whyte, innocence, trusting. Bookmark the permalink. Lisa another thought provoking blog. I’m always curious about why we behave the way we do. Ahh, that’s a curiosity that can last a lifetime! Oh and love the picture. You’re making me itch to put them on and hit the trails. Breathe that cool crisp mountain air and be awed by the sights! Lisa I also forgot to comment on how much I liked the way you dealt with the pain. Very intuitive and I’m going to give it a try. Let me know how it goes, Kate. What I did that day bears similarity to Dr. John Sarno’s technique in his book on dealing with pain although that didn’t occur to me at the time. That was my immediate thought was of Dr. Sarno. That man saved me from a life of pain! Taking the long way around. Oh yes. And this space! I cannot wait to carve out time to take the long way through everything you’ve posted here. So rich and inviting and deep and lovely. That was 15 years ago, and little by little I’ve learned to stop always looking for the detours and the shortcuts. And here you are, showing me the way. Jena, I always love your words and presence and it’s delightful to see you here. I’m smiling over the snip you shared from Muldoon, an image of those gypsies settling into my mind. They’re going to help me remember to detour into curiosity. So, here you are showing me the way, too.